The physical sky has many options to choose from. You can pick location, date, time, intensity, etc. You can also find additional options under the Basic Menu in the physical sky object like clouds, fog, moon, etc. Finally you are set to render. 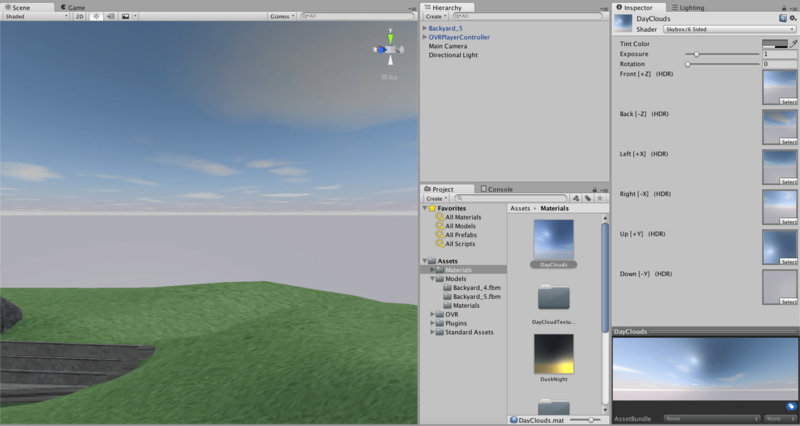 Make sure your looking through your camera (little white box next to the camera should be turned on) Once you have your sky looking the way you want go ahead and hit Render to Picture Viewer. If you set up the Save menu in render settings you should also have output your images to the folder you specified. Your Done! 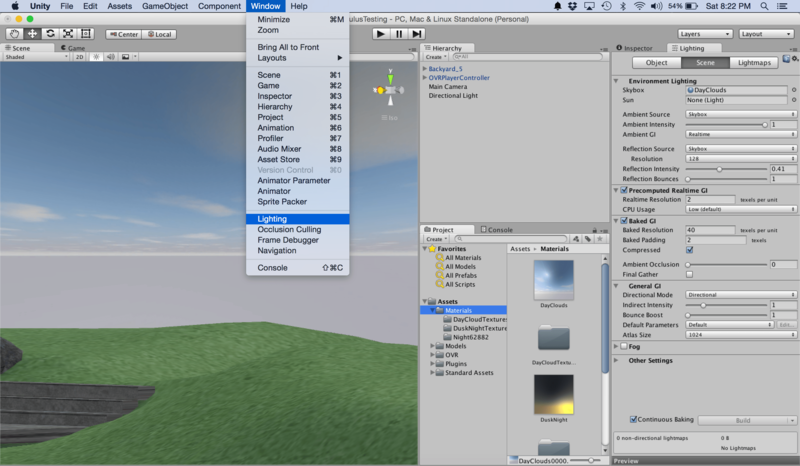 Now the six images you rendered out of Cinema have created a full sky environment and lighting for your scene. You can now quickly create as many different skybox environments as you want just by changing the Physical Sky object in Cinema4D and rendering out new image sets. Just remember to change where your saving these images so you don’t over write them.